Three people were rescued from a fire in the Auburn Gresham neighborhood on Chicago's South Side. 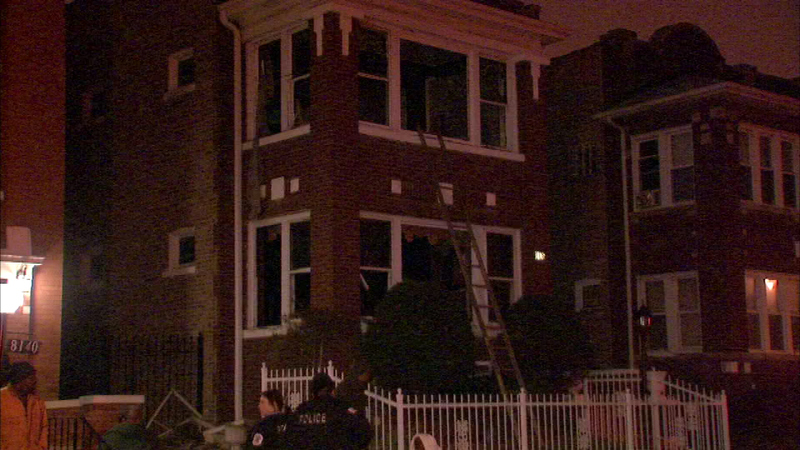 CHICAGO (WLS) -- Three people were rescued from a fire in the Auburn Gresham neighborhood on Chicago's South Side. Fire officials said the blaze broke out in the 3-story apartment building in the 8100 block of S. Green around 6:40 p.m. Thursday. The fire is believed to have started in the rear of the first floor. An elderly female was transported to St. Bernard suffering from smoke inhalation. Two others were rescued from the building, but refused treatment.